Looking out, from the front of my house, this has been the view we've seen every day around 3:00pm, since June. One day we lost power for over 8 hours, and didn't turn the generator on, until after 4 hours of having no power, and that was only because I can't scrapbook by candlelight. The only good thing about all these storms is that it fills up the pool, so we don't have to pay for water to fill it up due to evaporation. My granddaughter, that broke her finger the other day, went to an orthopedic doctor today, and came home with a bright pink cast. She's a tough one though, and she'll get through the next 1 1/2 months even though it will be miserable for her. 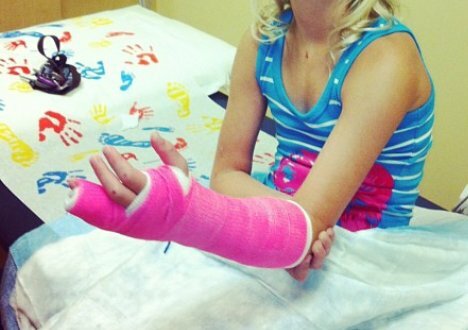 (I don't post photos of my minor grandchildren on public forums, public facebook pages, or blogs, due to it being so dangerous, and even the police department doesn't recommend it), so I've cropped out her beautiful face, but wanted to show the beautiful pink cast. It's much better than the ugly splint the emergency room gave her. My newest creations, however, they are already sold. 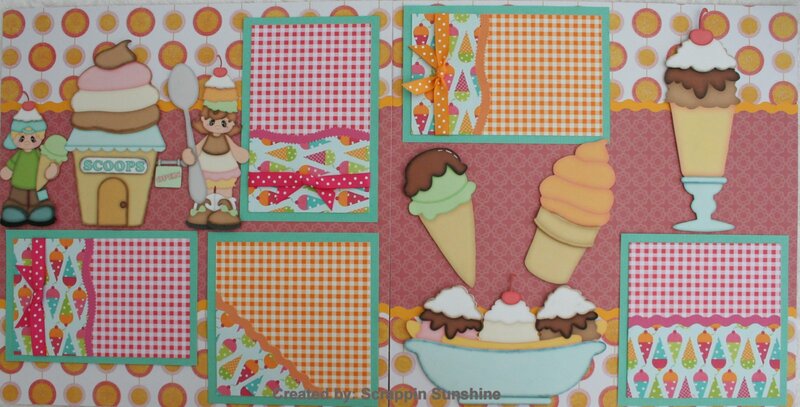 Just finished an order that took me 2 weeks to complete, and now working on another one. Gotta fit some time in somewhere though to do some pages that I've been wanting to do for awhile. Today wasn't a good day for my lil granddaughter. She broke her finger today, and I went to the ER with her and her mommy. Took almost 4 hours for them to x-ray, set the finger, and get out of there. They had more problems getting her name spelled right, then they did fixing her finger. It's her left hand, and she's right handed. Same hand that she scrapped her fingers on the other day, when she went to do a flip in the water of our pool, and was too close to the side of the pool, and scraped her fingers coming back up out of the water. I feel so bad for her. It hurt me just to look at her finger.